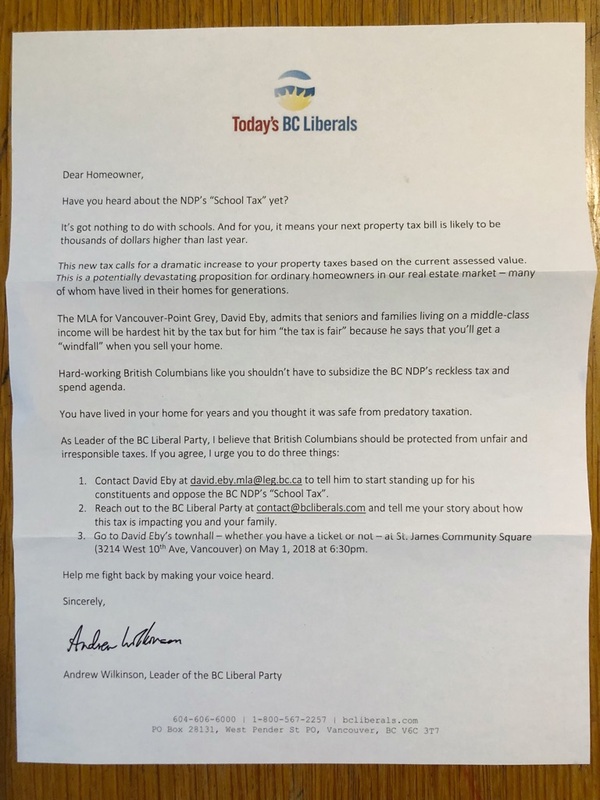 VICTORIA – BC Liberal Leader Andrew Wilkinson has denied trying to deliberately sabotage an information meeting where people were planning to learn more about and discuss government changes to make housing more affordable. Vancouver-Point Grey MLA David Eby was hosting an event for his constituents where they could openly discuss recent initiatives to address housing. That event was cancelled for security reasons after people were encouraged by BC Liberal Leader Andrew Wilkinson to crash the meeting and effectively rush the door. However, Wilkinson’s signed letter (attached) says no such thing, but says “Go to David Eby’s townhall – whether you have a ticket or not –” confirming Eby’s statement. Wilkinson and his BC Liberals should be supporting measures that will bring B.C.’s real estate market under control and make housing more affordable, but instead he’s once again choosing to back the top 2%. He should just be honest with people that he doesn’t really care about affordability, but only his friends at the top.